Vinyl record creations continue! I filed the edges of an excess chunk or record and painted each side with many different layers of glitter. I even did an abalone shell type color pattern on the front. I sealed the whole thing off with epoxy and Mod Podge. The end result is a super eye catching pendant that almost looks like a stone. 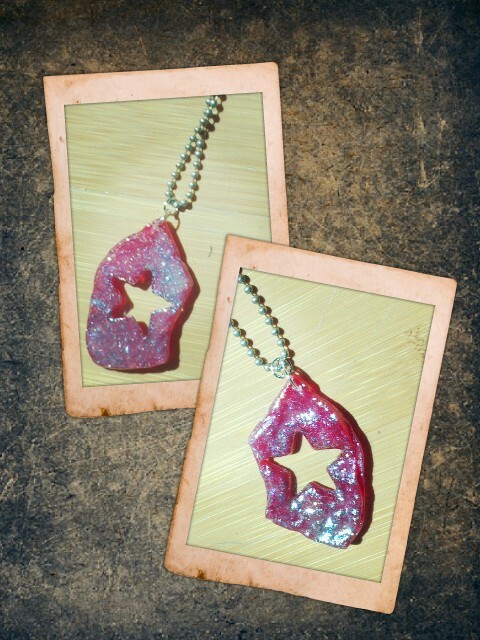 I named this piece "Star Stone."